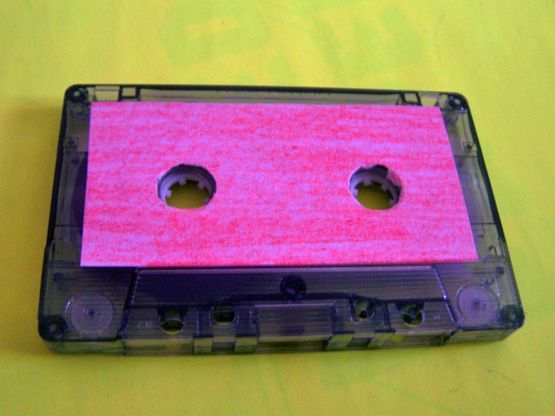 This cassette is no stranger about telling you it’s twenty six songs and as such this is quite a meal to digest. 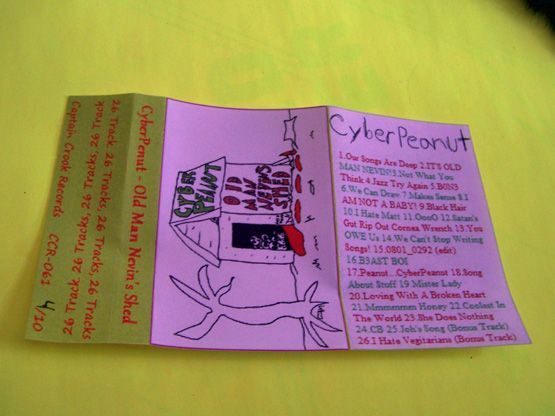 When trying to review this it becomes a bit complicated because though this remains guitar based and most of the songs do have vocals, you tend to find CyberPeanut jumping the spectrum a little bit. On one hand, this really reminds me of something like High Pop and at other times it could just as easily be the Vandals in their “Quickening” days. There are slower, acoustic ballads and just all around pop songs that are sort of headscratchers. 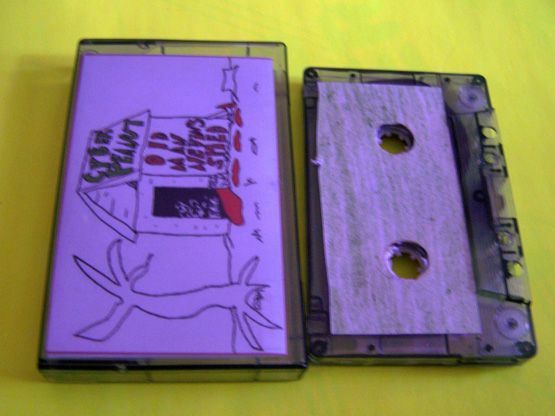 As I said before it is quite diverse in its delivery and the recording quality of it is somewhat quiet (You have to turn it up louder than other cassettes) which adds to the whole Daniel Johnston/home recording vibe. 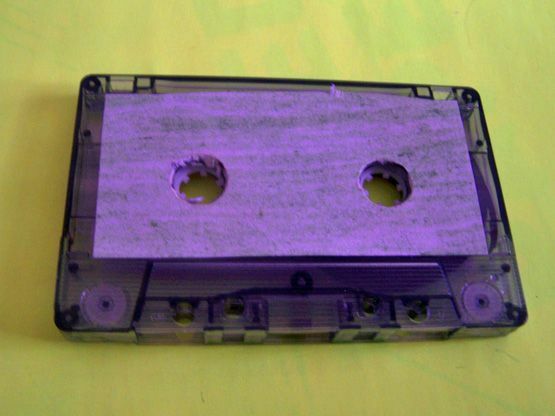 A particular song on here does resemble a sped up version of Maroon 5, while other songs have the vocals slowed down in what the kids these days are calling “screwed”. So it’s sometimes that slower pace of the vocals and yet other times can be seemingly sped up and sound like The Chipmunks. On a side note: Is anyone actually watching these modern Chipmunks movies? 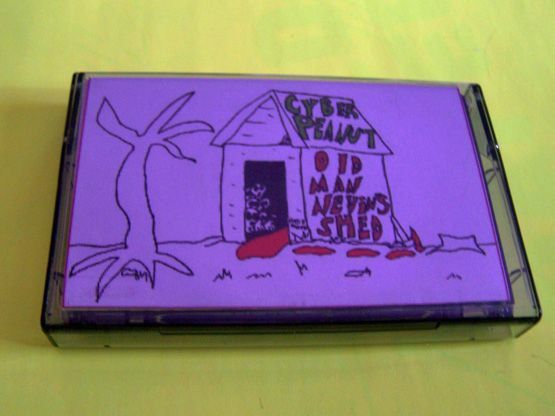 This cassette might have been only a dollar and I threw it into the cart with the newer CyberPeanut cassette as well as the Turbo Snail vs. Safewerd cassette, but even at three dollars you should have this cassette in your collection. I have yet to be disappointed in buying a Captain Crook release blindly and CyberPeanut is definitely not going to be the ones to do it. Which one sounds like Maroon 5?